Ten Years of Stone Premonitions: Happy Birthday! Officially founded by guitarist/vocalist Tim Jones and vocalist Terri~B as an independent artists collective ten years ago, the story of the North of England based Stone Premonitions label in fact reaches back more than thirty years. Especially for Tim Jones this means an almost complete adult life in the British music scene, and this again means thirty years of experience with heights and depths, contacts with the music industry and with many, many musicians. Taking all this together you have the reason why the Stone Premonitions project despite its counter-cultural enthusiasm and idealism is grounded in solid realism. The most important bands on the label are The Rabbit’s Hat, Census Of Hallucinations, Krom Lek, Body Full Of Stars, Mr. Quimby’s Beard and, of course, Tim Jones and Terri~B as solo artists. With this and many releases from other musicians the varied scope of the current musical underground is well and representatively covered. The repertoire includes Space and Psychedelic Rock as well as distinguished Pub Rock, varied and demanding Pop, and songs with political content that are critical of society. The counter-cultural element at first hand is shown by the undisputable artistic identity besides any commercial utilisation. Second, Stone Premonitions provides an economically grounded platform for new and unknown artists that helps them to avoid some of the pitfalls of the music industry. Even a successful (!) small edition by a new band’s first work for a major company or one of their sub-labels can economically break their neck. The third important element for musicians and bands on the label is the local anchoring in the structurally weak North of England. The concentration of resources and abilities - temporarily there were more that fifty people working under the "roof" of Stone Premonitions - led to the foundation and stabilization of a regional music scene that thanks to the Internet now belongs to the most stable and reliable institutions the "global underground" has to offer. To start at the beginning: Tim Jones’ first band in 1974 was Eyes To The Sky who later called themselves Dragon and successfully took part in a Pop contest issued by the Sunday Mail. Two co-musicians of this time, drummer Paddi and bassist Mark Dunn, with some interruptions kept on playing together with Tim Jones in various projects. After an interlude with the Progressive band Whippet Tim Jones took the step into the music business in 1977 with the Punk band Neon. They released one EP and one single, the latter produced by Martin Rushent who had worked with The Stranglers and XTC before and later with The Human League. Neon were touring up and down the British Isles mainly as a supporting act for bands like The Pretenders, Siouxsie & The Banshees, Punishment Of Luxury, Sting’s band of that time Last Exit, The Rich Kids with Glenn Matlock and Midge Ure and many more. At this time a special friendship developed between Tim Jones and the musicians of The Punishment Of Luxury. When Neon disbanded in 1979 Tim Jones for the time being joined The Punching Holes, the band of Brian Bond, the former lead singer of The Punishment Of Luxury, and only a little later Tim became a member of The Punishment Of Luxury as singer and guitarist. Also the other members of Neon experienced significant leaps in their careers after the break up. Drummer Paddi first became a sound technician in London, later a permanent member of the Pink Floyd stage crew, and he also worked for Bob Dylan, Santana, Peter Gabriel, Simply Red, David Lee Roth, Spock’s Beard and many more. Guitarist Martin Holder played in the band of Jazz drummer Jon Stevens, later in Jah Wobble’s live band and eventually teamed up with Neon’s ex-bassist Mark Dunn to found the Pop band Who Said Charge. Christopher Wade Evans, Neon’s sound technician, ended up as a full time on stage sound technician for The Rolling Stones and does this job up to this day. In 1981 Tim Jones left The Punishment Of Luxury and, after a stint as guitarist in the New Wave band Treatment Room, started his solo project Somebody Famous. Together with studio musicians and friends from Neon and Punishment Of Luxury during the next ten years a series of singles, albums and a movie came into being, the latter was broadcast in 1987 by the British Channel Four TV station in a series called "Famous For Fifteen Minutes". In 1991 the Somebody Famous band broke up, and in 1992 Tim Jones met singer Terri~B who had just left the Heavy Rock band Vagrant. This is the past history of Stone Premonitions so far that, besides successes and experiences, also caused quite a few frustrations. Neon, according to their potential, surely candidates for the gallery of big names of British Punk, broke up due to management faults and power struggles in the music business, and two complete albums by Punishment Of Luxury were not released when they were completed (lost in the administrative jungle of a major company for more than twenty years they were published only recently on CD), just to mention two significant examples. The time was right for something completely new. 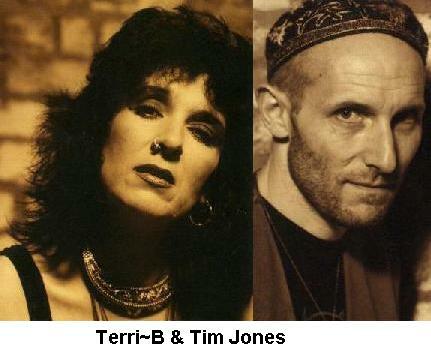 In 1994 Tim Jones and Terri~B founded the Stone Studio, the Stone Premonitions label and the band The Rabbit’s Hat. The label work is clearly split: Tim is responsible for the recordings and the sound engineering whilst Terri does the artwork and graphic design. 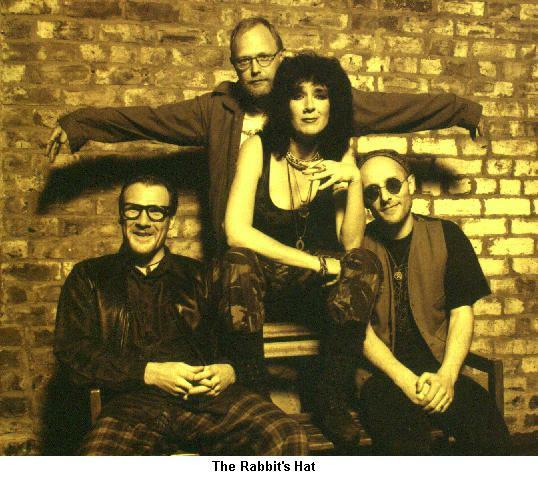 The Rabbit’s Hat combines Psychedelic Rock with demanding Pop and political songs. The lyrics, of which many show a decidedly critical attitude towards society, were mostly written by the North of England lyricist Tony Morland who unexpectedly passed away in 2002 at the age of only 44. By 2003 the band had released altogether ten CDs, eight of them on their own label. It’s significant about the records of this band that they - although produced in the "underground" - show no difference to industrial releases concerning production culture and lavishness - a world-class band that still has to be discovered. Also in 1994 Tim Jones started working with Northern Recording, a community based music project in Consett in the North East of England, where he was hired to work with local bands to work on musical material and to produce recordings. There he met the band Krom Lek who developed their very own "style mix" of Psychedelic, Art and Space Rock. In the meantime five Krom Lek CDs were released (respectively re-released) by Stone Premonitions. In 2003 Dave and John Musgrove of Krom Lek have recently founded the Band When’s The Future as a side project and released the CDs "Now" and "Then" likewise with Stone Premonitions in 2003. Also in 1994, the collaboration with the Space Rockers of Mr. Quimby’s Beard started when Stone Premonitions advertised in the North East's Generator Newsletter that they were looking for like-minded Bands that might suit the label’s philosophy. For Mr. Quimby’s Beard Stone Premonitions most obviously was a talent forge and a stopping-off place to put them on their own feet, musically and organisationally. Nowadays, their CDs are released on their own their own Freaky Fungi label and on Demi Monde Records. In 1997 Tim and Terri~B again met up with old companions leading to renewed collaborations. Terri~B, ex-Vagrant-guitarist Davey Wright and keyboardist Steve Ellis produced the CD "Spacehopper" for Stone Premonitions and Davey Wright played lead guitar on The Rabbit’s Hat album "The Sun Broke Through". 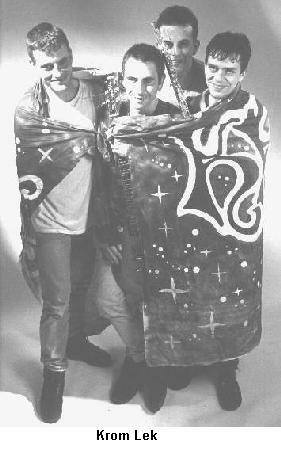 Together with the former Neon-members Mark Dunn, Martin Holder and Paddi as well as Paul Ellis and his wife Yasuko Fukuoka (both of them at that time sound designers for Yamaha keyboards in their London research and development department) the project Body Full Of Stars came into being, actually the brainchild of Mark Dunn who had written most of the tunes. 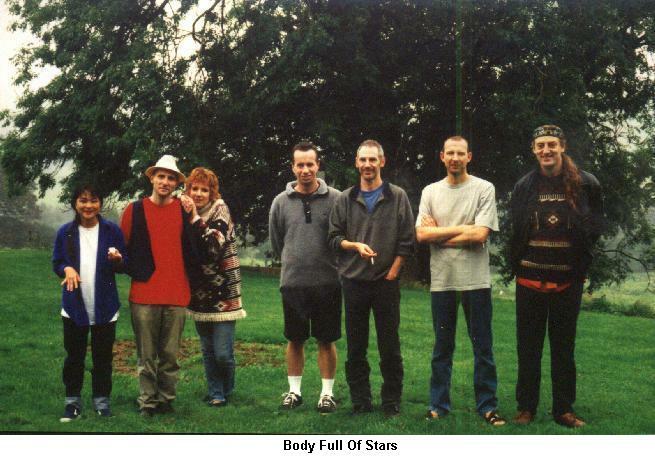 In 1997 and 1999 Stone Premonitions released two CDs of Body Full Of Stars that also contained new versions of old Neon tunes. Founded in 2000 as an experimental side project of The Rabbit’s Hat, Census Of Hallucinations turned out to be the most productive project of the label. Between 2000 and 2003 nine CDs of this "Rock Big Band" with altogether eleven members (among them a narrator and a re-mixer) were released. Census Of Hallucinations - due to their quality and reputation - actually should be considered as the (still uncrowned) Super Group of the current Psychedelic and Space Rock scene. Particularly, experimental sounds and textures are joined together with song writing and arrangement skills of the maximum technical and musical level - you won’t find any nonsensical noise or noncommittal hot air on these recordings. Besides all this Tim and Terri~B again and again find the time for projects of their own. In 1998 Terri~B released “Wrap Me In Your Skin” (which was also brought out in 2002 by Hi-Note in a slightly different version) and in 2003 “Essential Incense Music Part One”. In 1999 Tim Jones released “666+1” and in 2003 “A Chip Off The Old Block”, some kind of a new edition of his Somebody Famous project. In addition to the long-term band and solo projects, every now and then short-term projects are carried out in order to support new artists to help them get off the ground. Among these projects is a CD by the German underground DJ Lord Litter with the title "Stone Premonitions Presents Lord Litter" from 1999. In 2000 Stone Premonitions released the CD “Slide Away” by the British guitarist Paul Rose who now runs a successful solo career. Also in 2000 the solo album “Running” of the New Zealand based singer/song writer Mike Forse was produced. In 2004 Phil Jackson of Paradox One produced two lavish “birthday samplers” for Stone Premonitions. "The Moon Orion Project" exhibits ten cover versions and sonic retellings of the Tim Jones/Terri~B tunes "The Moon" and "Orion", among them two currently recorded versions by the Seventies legends "Clear Blue Sky" (their 1971 debut on Vertigo was one of the first albums with a cover designed by Roger Dean), a psychedelic folk version by the Australian band Brainstorm, electronic sound sculptures by the Census Of Hallucination mates Cousin Silas and Rapoon, a precious home produced four track release by the (otherwise) Hard Rocker Tim Mungenast and many more, that show the complex multi-layered structure of these two songs. A lot of loving care also signifies the double CD "Retrospective 1994 - 2004" that contains more than thirty original tunes, and additional presentations by Underground and Internet Radio DJs, interview snippets with some of the featured bands and a 30-second-presentation about how the name Stone Premonitions was invented. With that the ten years retrospective on CD is much more than just a label sampler with great music. At the same time, it’s a convincing piece of evidence that the concept of Stone Premonitions works in all of its constituent parts. Many will remember that in the middle of the Nineties almost some kind of euphoria broke out among musicians when professional recording devices became available at reasonable prices so that many of them could afford their own home and basement studios. At the same time the Internet turned out to become a mass medium that supplied musicians with all the information and distribution channels that were restricted to the music industry before. For many bands and projects this turned out to be an illusion pretty soon, but Stone Premonitions fulfilled the promises of the new media and recording techniques for themselves and for their bands. From the empty tape to the finished product everything is produced independently, the music is reviewed in serious Internet magazines, broadcast on many Internet radio shows and is available via selected mail-order shops. For Stone Premonitions the circle is closed now: it’s a stable factor in a stabilizing scene that in the meantime even has partly outstripped the music industry with respect to the quality, quantity and diversity of its publications. Labels like Stone Premonitions are essential to let the big dream of a worldwide, free and independent music scene come true. But freedom and independence should not be restricted to music alone. In answering the question concerning the label’s musical future plans, Tim Jones replied with an analysis of the current political situation, his worries as to whether we will have a future of the kind that we can imagine today at all, and his thoughts concerning how free and independent music can make a contribution to a free and independent society (see interview). We have already had this before in the Seventies. It was good at that time, and it’s good again today. Therefore wholeheartedly: Happy Birthday, Stone Premonitions! Acknowledgement: This article is a translation from a story first published in the German printed music magazine "Moonhead", dedicated to Psychedelic and Progressive Rock and to the current musical underground in general. CLICK HERE to download a PDF of the version of this article that was published in Moonhead magazine. It's in German but check it out anyway. It looks great. CLICK HERE to read the interview with Tim Jones that appears this issue. CLICK HERE to see the The Stone Premonitions Family Tree that appears this issue.